H3 Digital are a smart home company based in Phuket, Thailand, founded in 2004 by a family team with a passionate interest in the application of modern technology in the home. Our Smart Home solutions guarantee the very highest level of quality in elegant, easy-to-use systems. Our goal is to make it simple for people to enjoy and control their homes with future-proof technology. KNX is the world’s most widely used home automation system and is the only international standard for home and building control - ISO/IEC 14543-3. It’s a stylish, reliable and powerful smart home system featuring modern designs to automate lighting control, blinds, curtains and fans. The first and only multi room digital music system with a wireless iPod like controller that lets you play all your digital music, throughout your home, and control it all from the palm of your hand. Whole home audio featuring elegant Organic LED keypads and available with special iPod Docks that allow the iPod menu to be seen and used in any room. 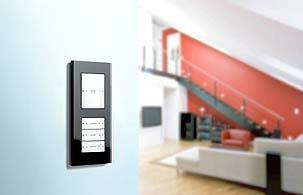 A new Energy Star Nuvo system was recently introduced, it is the world’s first Energy Star multi zone audio system. H3 Digital are a green company, we are increasingly involved in promoting energy saving and eco friendly technology. Working in conjunction with a prominent UK energy efficiency expert, to design and install Smart Home systems that realize up to 60% savings from homeowners monthly electricity bills. We believe it’s a win-win situation, energy efficient technology costs no more than its unfriendly counterpart, saves our clients substantial money on their energy bills and helps preserve the Earths precious resources. Invest in only the very best in smart home technology contact H3 Digital for a consultation.